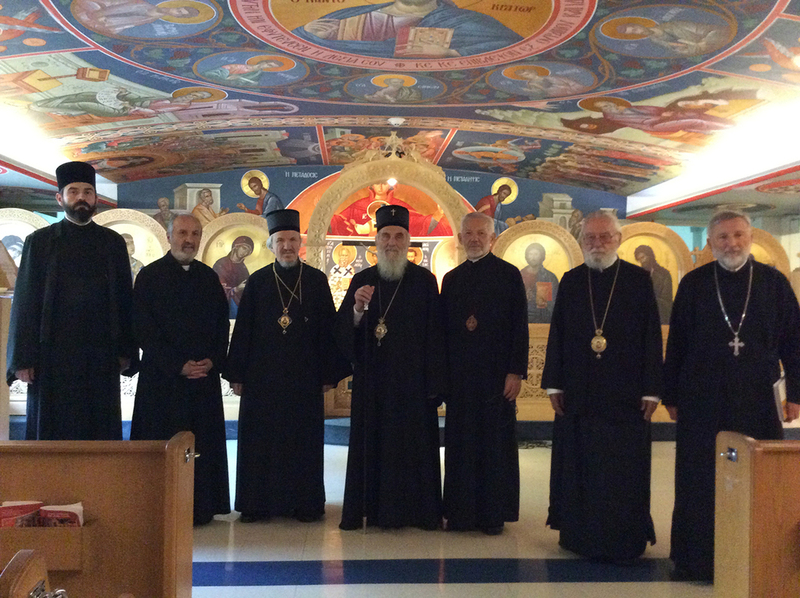 Toronto, Ontario - His Holiness Serbian Patriarch Irinej, administrator of the Diocese of Canada, visited His Eminence Metropolitan Sotirios of Canada and the residence of the Metropolis of the Patriarchate of Constantinople in Toronto. Accompanying His Holiness were His Grace Bishop Mitrophan of Eastern America, V. Rev. 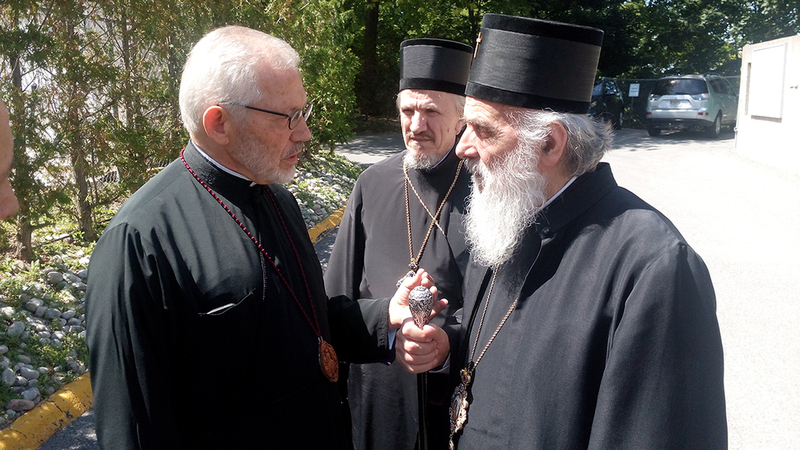 Vasilije Tomic, Episcopal Deputy and parish priest in north Toronto, Protosindjel Vasilije (Gavrilovic), abbot of the Transfiguration Monastery in Milton, Protodeacon Damjan Bozic from Belgrade, and Milan Lesic, president of the St. George church-school congregation in Waterloo. His Holiness Serbian Patriarch Irinej and those accompanying him were warmly received by His Eminence Archbishop of Toronto and Metropolitan of Canada Sotirios, together with the Vicar Bishop Christopher of Andida. The Greek Orthodox Church in Canada is the largest Orthodox jurisdiction. Since Metropolitan Sotirios arrived in 1982 to this day the number of churches has increased from 22 to 74. 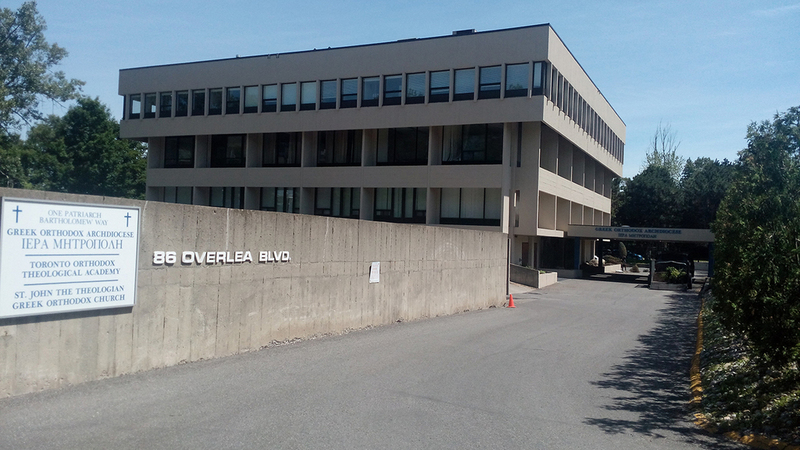 The Metropolis is located in Toronto and next to the diocesan offices is the St. John the Theologian Seminary. Many Serbian students, now clergy in the Serbian Church throughout the Serbian Orthodox Church studied here. After visiting the library, amphitheater and the diocesan offices, His Holiness spent some time in conversation with Metropolitan Sotirios.